On 21st November, Mr. Bimal Rathnayake, Member of Parliament (MP), Ex State Minister of Labour & Employment and National Organizer, People Liberation Front (JVP), Sri Lanka visited CRP-Sylhet centre. As a guest of our Sylhet land donors, Md. 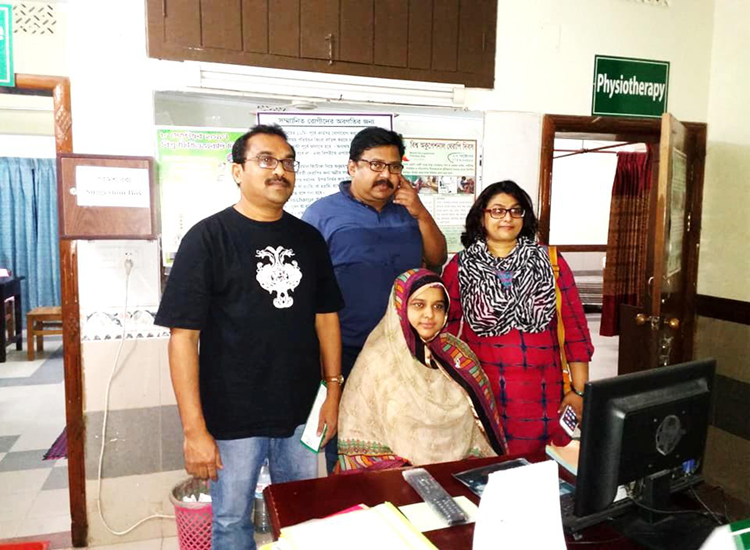 Moinuddin Ahmed Jalal and Dr. Nazia Chawdhury, Mr Rahhayake observed everything that we do there. Mr. Bimal was very interested in CRP’s IGA products, made in our own workshop, as Sri Lanka imports these type products from other countries. He also showed interest in contributing to the cost of CRP-Sylhet’s building construction. He left with a very positive opinion of CRP. It was also a great opportunity for CRP to receive an honourable person such as Mr. Bimal.